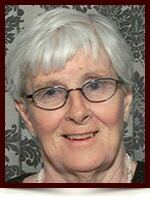 Ida Lylene McKenzie - Edmonton's Burial & Cremation Professionals | Trinity Funeral Home Ltd.
On May 29, 2016, Lylene passed away peacefully at the age of 88. Lylene will be lovingly missed by her children Beverley, Warren (Karen) and Lyle (Donna), 6 grandchildren, 7 great grandchildren, and numerous close friends and family. She was predeceased by her husband Ross, son Thomas, daughter Christine and granddaughter Leslie. A special thanks to the staff at the Misericordia Hospital for their excellent care of Lylene. In lieu of flowers, donations can be made to a charity of one’s choice, in Lylene’s name. My condolences to my cousins Beverley, Warren (Karen) and Lyle (Donna), their children and grandchildren. I fondly remember Lylene when she visited us in Selkirk. Bob & I are sorry for the loss of your dear mother/grandmother/great grandmother.. She was always so proud of her dear children and we loved hearing about how you all were doing. She was so loving and gracious to us. Recently we were privileged to see some photos of my mother as a young woman of 18 yrs. The photos show love, compassion, strength, courage & stunning beauty. Donna, Kim, Kerri, Kristopher and the 4 Grand Ones all share in her genes. I am so sorry to hear of Lylene’s passing. My sincerest condolences. I have fond memories of her as my neighbor on Hillside Garden. Lylene and Ross’ house was second home during the summer when Leslie came to visit her grandparents. What I will always remember about Lylene is her fierce love of her family and her utter devotion to them. She had a heart of gold. Her gentle spirit will be missed by all who knew her.